On your way to the Santa Ynez Wine Country, you’ll drive through the quaint Danish community of Solvang. Home to art galleries, boutiques, and international cuisine, Solvang is the perfect place to stop for lunch before hitting the wineries. 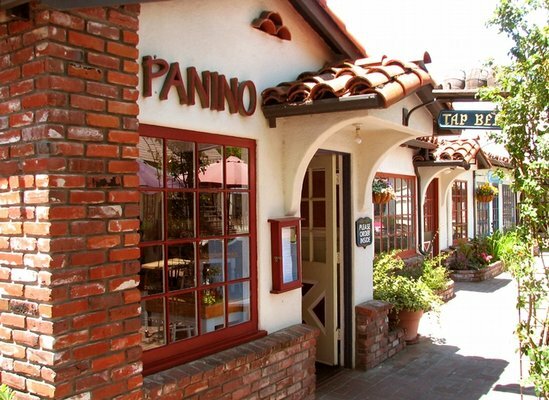 Every time I visit the area, my first stop is Panino, an award winning sandwich shop in the center of downtown Solvang. 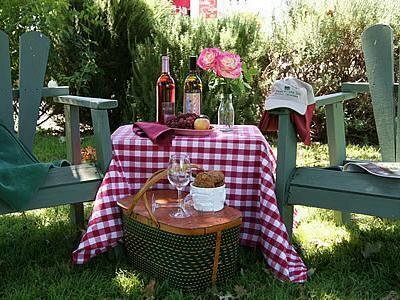 Grab a bite on the outdoor patio or pack a picnic to enjoy later in the day. The wine country inspired sandwiches are incredible – the Roast Turkey with Brie is flavorful and refreshing, while the Panino Cobb with prosciutto and English stilton cheese pairs perfectly with local Pinot Noirs. Start your wine tasting at Sunstone Vineyard, a boutique family winery that’s reminiscent of the French countryside. Known for their organic grape growing practices and a wide variety of bold red varietals, Sunstone is one of the most beautiful and romantic wineries in the valley. Tastings for visitors are just $10, but if you’re a member, you and your guests will taste for free with exclusive access to La Cav, the underground cave-like tasting room and lounge. Ask to sample Sunstone’s collection of Eros wines, a delectable red wine blend that pairs nicely with a piece of dark chocolate! Next, make your way to the eastern end of the valley to visit Gainey Vineyard. This elegant, Spanish style winery has fantastic views and award-winning wines. For a real treat, ask for the upgraded tasting of Evan’s Ranch wines, which are selections from Gainey’s premiere vineyards in Santa Rita Hills. 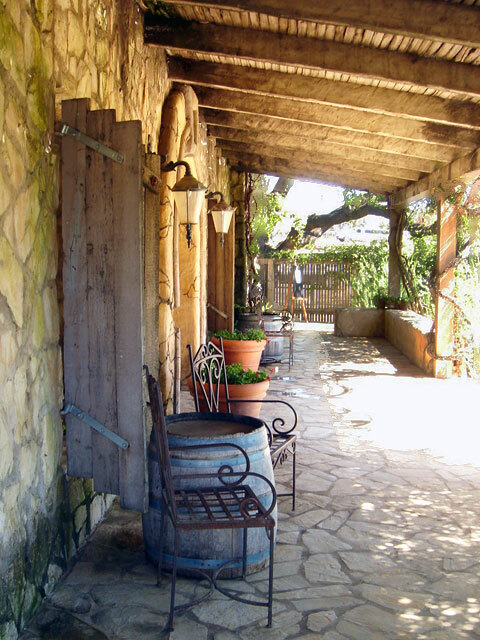 Complete your wine tasting tour in Los Olivos, at the idyllic Zaca Mesa Vineyard. For just $10, enjoy a sampling of Zaca Mesa’s best Rhone varietals in the rustic tasting room or amongst the lush trees and picnic tables on the estate. Finish off your day with an enjoyable dinner at one of the most recognized restaurants in the area, the Hitching Post II in Buellton. Sideways may have put this establishment on the map, but this “Santa Maria Style BBQ” joint has been a local favorite for decades, combining traditional favorites such as rack of lamb and ribs with modern culinary twists. The Stuffed Pasilla Pepper ($10.95) is a robust and flavorful starter, while the steaks ($23.95 to $49.95) marinated in their popular “Magic Dust” ($6 for an 8oz. bag) can’t be beat! 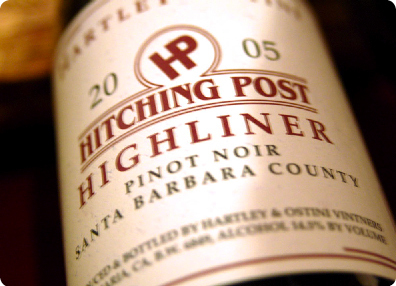 The Hitching Post II also has an incredible wine list and some of the most memorable Pinot Noirs in the area. 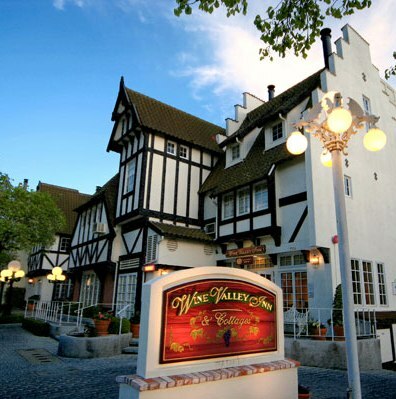 After a long day of wining and dining, unwind at the comfortable Wine Valley Inn (rates start at $149/night) located in downtown Solvang. This boutique hotel is just a few steps from the bustling cafes and shops of Solvang, offering luxury accommodations for every budget. With standard guestrooms, cottage suites, and a 3 story tower suite, there is truly an option for everyone. Guests can enjoy the serene koi ponds, gardens and fireplaces on the property, or take in a relaxing massage at the spa. 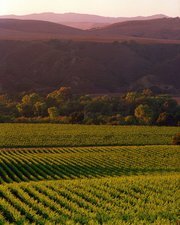 For a romantic stay in the center of the Santa Ynez Valley, try the Meadowlark Inn (rates start at $120/night weekdays). This wine country retreat is set on lush grounds, full of peaceful trees, gardens, and ponds. The 18 cozy rooms and suites are simple and charming, the ideal getaway for couples. Some rooms feature hot tubs and kitchens, but for the best experience, book the Cabernet Suite with a private backyard, garden, fire pit and Jacuzzi. The complimentary homemade breakfast is scrumptious, specially prepared by the inn keeper each morning. 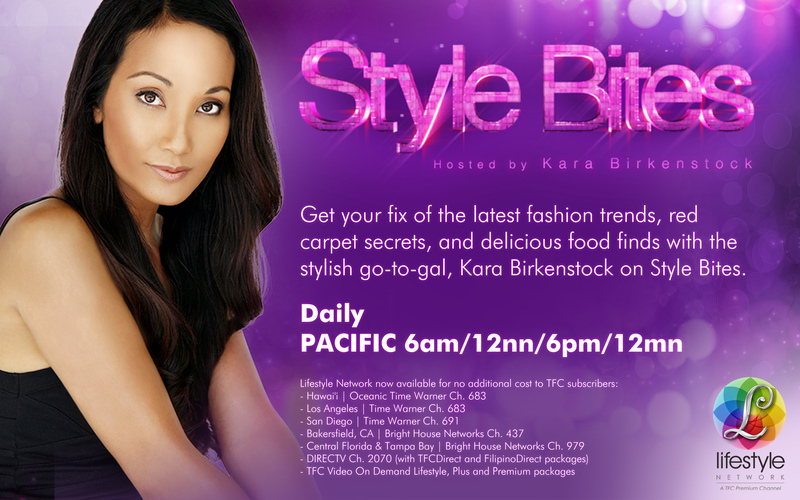 The granola and yogurt are some of the best you’ll taste, and a great way to kick off your day!